We no longer recommend Fortune Jack due to dishonest practices. U.S. casino gamers should try Vegas Casino instead or visit our Casino Recommendations sections. 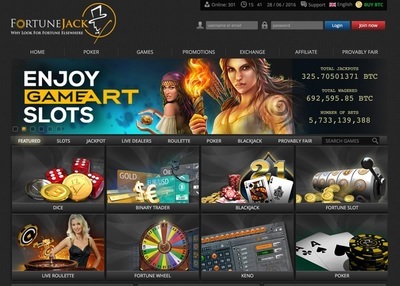 Fortune Jack is fully licensed and regulated and is one the most trusted BTC brands. All games are Provably Fair and are immediately independently verifiable by you. Gamble with Bitcoin, Litecoin, Dash, Dogecoin, Monero, Clam, Peercoin and more. Play live dealer roulette, blackjack, dragon tiger, baccarat and Texas Hold'em poker. At Fortune Jack both deposits and withdrawals are free and are lightening fast. 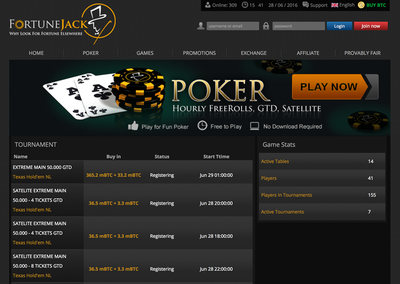 You can also play Texas Hold'em cash games or enter freeroll and GTD tournaments. 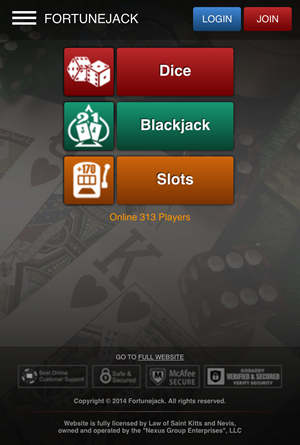 Slots, dice and blackjack can be played from any iPhone, Windows Phone or Android. Since its launch in 2014, Fortune Jack has become one of the largest and most visited bitcoin online casinos. Owned by Nexus Group Enterprises N. V. and operating out of Curaҫao, the site is fully regulated and licensed by the government’s gambling commission. 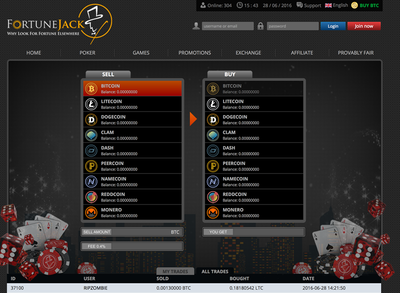 ​ Fortune Jack welcomes crypto-currency gamblers from the United States. With over 500 games to choose from, FortuneJack has a wider selection of games that most traditional online casinos. Categorised for your convenience, all common games such as Bingo, Blackjack, Roulette, Poker, Slots and Baccarat can be found, as well as a variety of innovative additions that are a lot of fun to play. Binary Trader, for example, is a betting game where you can wager on the market price of Gold, Silver and numerous foreign currencies. Betting amounts on the majority of games start from as low as 1 mBTC and you can even use play money to get some practice before gambling with real crypto. You can search for games by developer or name if you have a particular favourite in mind. Fortune Jack also offers a wide variety of poker options. You can take a seat at any of the Texas Hold'em cash tables or compete in one of the regular freeroll or guaranteed prize pool tournaments. Player to player (P2P) transfers are possible although there is a charge of 2% for transfers worth over $200. 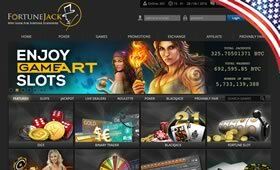 When playing at FortuneJack’s online casino, you can be confident that the games are provably fair, meaning that they are not rigged to disadvantage the player in any way. The casino enables players to see how each outcome is based on their input and to immediately verify that the game they just played was fair. FortuneJack is big on bonuses, rewarding all first-time depositors with a 100% bonus on amounts up to 500 mBTC, a generous deal which returning customers can make use of once per month. There is a loyalty scheme where you get paid to play, earn loyalty points and progress through VIP levels to receive cashback and entry into exclusive giveaways. Uniquely, the site also has a promotion which gives back to the three unluckiest players of the week, providing you with a 20% return on your losses if you are unfortunate enough to be one of them. Deposits appear in your account after 1 confirmation so you're usually ready to play within 5 to 10 mins. Practice games are available while you wait. Withdrawals are also lightening quick and are usually in your wallet within a couple of hours. Deposits can be made from as little as 1 mBTC and there is no limit to the amount you can withdraw. There are no cashier fees. If you have any problems or queries relating to the site, you can contact the support team by emailing support@fortunejack.com or fill in the support form. Customer support is excellent and they often reply to queries within a couple of minutes. 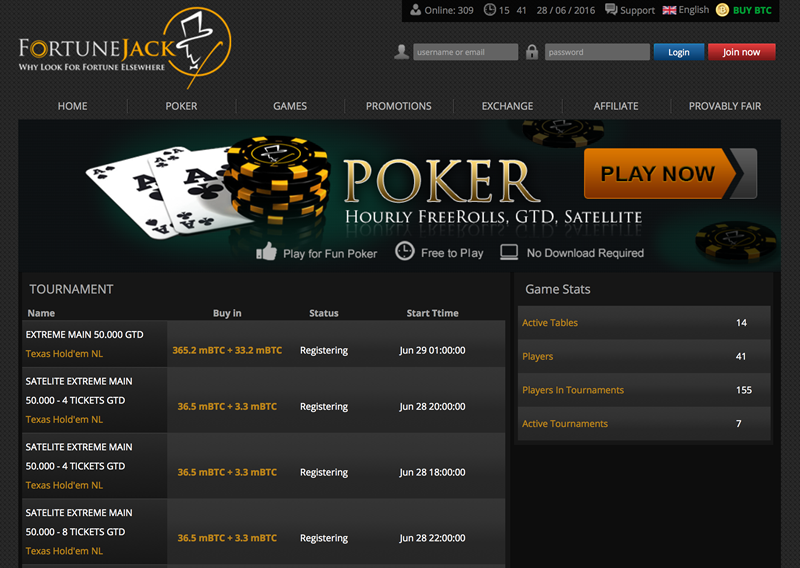 Fans of social media can use Twitter, Reddit Facebook to reach out to FortuneJack. ​Two-factor authentication is available for added account security. FortuneJack is the leading crypto-curreny casino for a reason. They offer top class customer support, a huge variety of games, a monthly 100% deposit bonus and provably fair games. Uniquely, they also accept 8 major altcoins in addition to bitcoin.